There are 11 reviews of Liquid Night. Not just for a friend. Not what they once were. The dear boy said of Polo. I own Liquid Night and Halston Man Amber and the two smell almost identical. Lots of dry, spicy, amber-vanilla with incense. The big difference is performance. You only need a couple sprays of Liquid Night to project and have it keep wafting into your nose for the next 10+ hours. Seems best suited for colder weather. A citrus, Amber, and sugar fragrance. Amber in the sense that it smells like incense, vanilla, and sharpness. The sugar is underlying and the bergamot shines through constantly. The citrus helps this to be more wearable in warm weather. If you appreciate (each one in a specific phase of its development at least) scents a la Lancetti IL, Parfumerie Generale Coze 02, Noir de Reminiscence Pour Homme, Costume National Soul, Viktor&Rolf Spicebomb and (at least in part) Marc de la Morandiere Genghis Khan, Tom Ford Noir, Tauer L'Air du desert Marocain and Escada Magnetism for Men this A Lab on Fire's juice could theoretically appeal your taste. 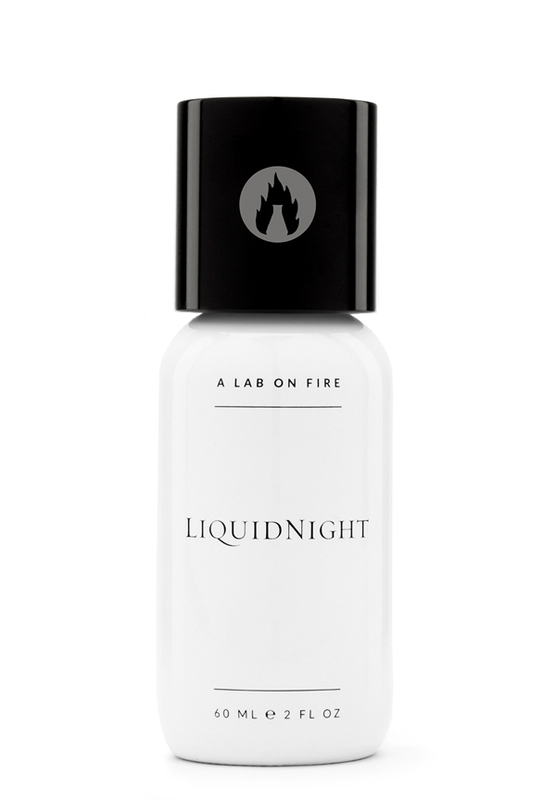 A Lab on Fire Liquid Night is incensey, "burnt sugary" and decidedly spicy in a way making us ideally locating it in the same league as scents a la Donna Karan Black Cashmere (finally more chic/sophisticated) and Spicebomb but in particular I find Liquid Night more powefully spicy than incensey on my skin. Opening unveils a tad of bergamot, liquid spices, aromatic green patterns and lavender (providing structure, wet fluidity and a citric/aromatic vague undertone) but in a while massive spices grow up (saffron and cinnamon in particular) and the juice goes quickly morphing towards a basically resinous/mossy/vanillic/woody dry down veined by a cinnamonic/sugary (vaguely dry-fruity/caramellous) vibe. This juice is more leaning on the synthetic side than on a more naturally niche-incensey sphere but I see a well executed work as appointed by a respectable performer (Carlos Benaim). In the core of the juice I get a lot of nutmeg, saffron and cinnamon supported by dry frankincense on my skin. I suppose spicy amber pairs frankincense in the appointment of this general resinous aura. In this phase the juice is sweeter while along the way sweetness slightly recedes in order to open the way for a more "tempered" musky/vanillic/slightly resinous "format". There is a vague "cedary/pencil-shavings" vibe lingering all around till the end. Honestly I don't get a disturbing synthetic "implementation" while I catch a well balanced connection of synthetic elements (quite in the average level of tolerance). I get a stable liquid-spicy/aromatic presence (cardamom?) as well. Nothing groundbreaking (or original) but surely a pleasant dark-spicy juice providing that touch of "enigmatic velvet" that is mandatory for a night out under the megalopolis skyscraper's shades. The best solution if you look for a down town club's elusive fancy-chic juice? Still Costume National Scent Intense. A better interpretation of the imaginary "liquid night" concept? Ulrich Lang Nightscape. Good projection and longevity on my skin. The almighty, one and only Iso E Super. Nothing else here. Not saying Liquidnight smells bad, it shows the usually set of nuances of this aromachemical (a warm, woody cedar-incense-spices blend), but first, speaking about niche, Molecule 01 did that already and "openly", and second, you can get the same by buying a way cheaper bottle of Iso E and diluting it yourself. I get that many people are legitimately not that interested in how a perfume is made, and Liquidnight surely smells nice, but... come on! 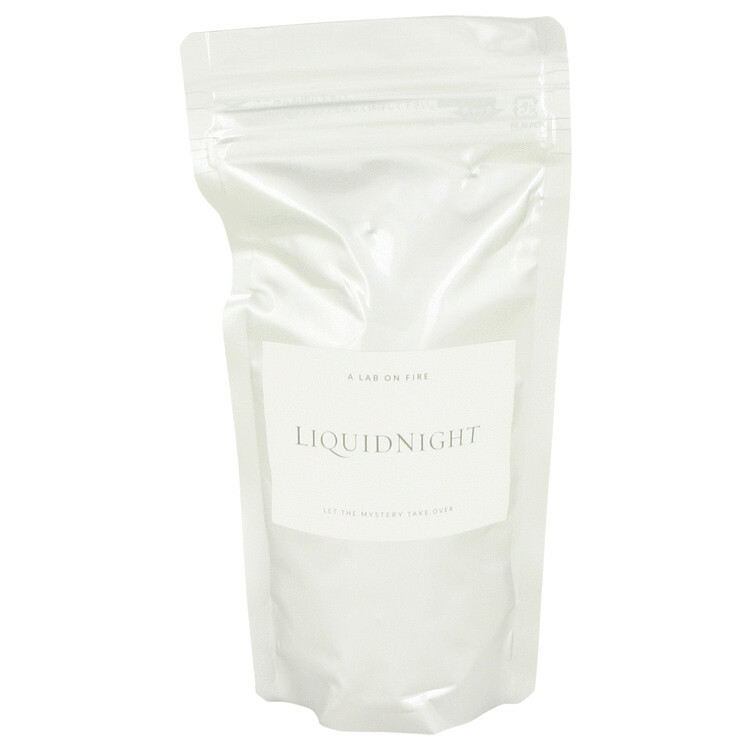 I was looking forward to sniffing Liquidnight by A Lab on Fire; according to the note list, the composition centers around incense, woods, and vanilla, so I was expecting to instantly like Liquidnight. Unfortunately, I applied high quality car freshener to my skin. The incense note lacked depth and smoky heft while the woods and musk coalesced to form a sterile base. There are no member images of Liquid Night yet. Why not be the first?